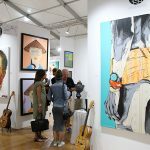 Sales at art fairs were estimated to have reached $13.3 billion in 2016, an increase of 57 percent since 2010, according to the 2017 Art Market Report. Spectrum Miami is rich with opportunities for artists to showcase their work to an audience that’s highly literate in the arts and make valuable lifetime connections with buyers and fans. And for exhibitors and attendees alike, Spectrum is rife with exciting events, live performances, late-night parties, and more. Here are the top five reasons you should exhibit at Spectrum Miami. Since its launch in 2011, Spectrum Miami has steadily increased attendance. In 2016, Spectrum Miami welcomed more than 38,000 art enthusiasts. Through our involvement with local art institutions, museum partners, and our Redwood Media Group VIP Passport Membership, we are connected with over 75,000 collectors. We expect this year’s Spectrum Miami to set record numbers of both exhibitors and attendees. 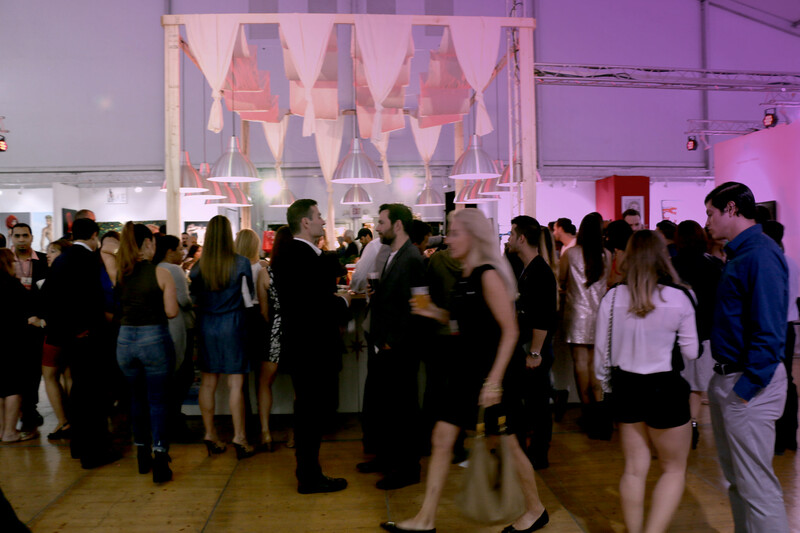 When all the other art shows close up shop around 8 p.m., Spectrum Miami keeps pouring drinks, hosting programs and events, and selling exhibitors’ artwork. Wednesday’s Opening Night Preview Party and Friday’s Art After Dark evening festivities and cocktail reception are not to be missed. With our move in 2015 to the Arts & Entertainment District, a 7.5-acre cultural oasis connecting Midtown to Downtown Miami, we are conveniently located near area hotels, restaurants, and local attractions—and other shows are following our lead. Art Miami, CONTEXT, and NADA are now just several blocks away, making it a breeze for attendees to zip from event to event. We are collaborating with ARTI.NYC, an art services company that specializes in installation and transportation of fine art, to offer complimentary packaging for sold works at the show for all exhibitors. Plus, if you exhibit at the inaugural Artexpo Las Vegas, the 40th edition of Artexpo New York, or any of RMG’s other fine art shows, you’ll save thousands of dollars thanks to our complimentary Freight Concierge Program.